If you suffer from a severe digestive disorder, and it prevents you from working, you probably are dealing with a lot of stress. 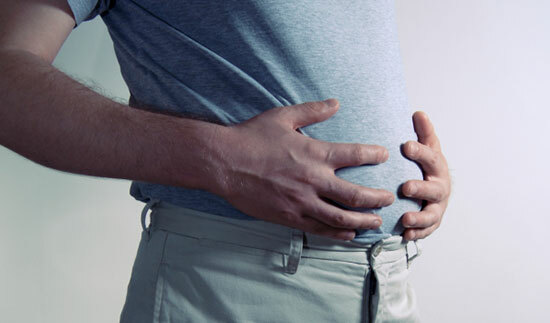 That extra stress may cause even more problems for people with certain digestive disorders. Not only do you worry about your health, but you may also feel overwhelmed with the piles of medical bills. There is a possible option. You may qualify for Social Security disability (SSD) benefits. With many people out of work, the Social Security Administration is being flooded with applications for SSD benefits. Currently, the Social Security Administration denies over three-quarters of applicants – even those who should qualify. Having the expertise of an experienced attorney to help you navigate the Social Security disability application and appeals processes may mean the difference between ultimately receiving SSD benefits or not. When you submit an application, the Social Security Administration will review your medical records. They will want to see proof of diagnosis and know that you are seeing a specialist regularly. It's critical that you follow your prescribed treatment plan. Not doing so will limit your likelihood of being approved for SSD benefits. Not sure if you qualify for SSD or Supplemental Security Income (SSI) benefits? Basically, the difference between the two is work history. If you paid into the Social Security system within the past five years, you may be eligible for SSD benefits. If you haven't worked long enough, or recently enough, you may be eligible for SSI benefits instead. At Edgar Snyder & Associates, we care about you and how your severe digestive disorder has impacted your life, whereas to the Social Security Administration you're just a claim number. Since 1982, we've helped thousands of people with disabilities get the Social Security disability benefits they deserve. We believe in providing considerate, attentive service to our clients. When you choose Edgar Snyder & Associates, you can trust that we'll treat you with respect. We will explain the legal process to you, answer your questions, and protect your rights. We can help you apply for SSD benefits, or if the Social Security Administration denied your claim, we can appeal for you. You must act quickly, however. You have only 60 days to appeal. Our track record speaks for itself. We win the majority of appeals for our clients. Not only do we treat our clients well, but we have a high success rate getting them the SSD benefits they need. If you're still not sure hiring an attorney is worth it, know that we operate on a contingent fee basis. If we don't win your appeal, or if we help you apply and you don't receive SSD benefits, you won't owe us a penny. If your digestive disease or disorder is so severe that it keeps you from working, but the Social Security Administration denied your SSD claim – or if you want help applying for SSD benefits – don't waste any time. Remember, you have only 60 days to file an appeal. Hiring an attorney may mean the difference between collecting SSD benefits or not, so get started today.